The Pilates Method was developed by Joseph Pilates. He opened his first studio in New York City, whose dance community recognized the value of his training. Such legends as George Balanchine and Martha Graham incorporated the Pilates method into their teaching and training of dancers. Martha Graham sent her dancers to Pilates to recover from injuries and return to performing. The Pilates method is organized to train the mind and body together for a more efficient and integrated exercise experience. The mental skill of visual imagery is used to train the mind, as well as the muscles. 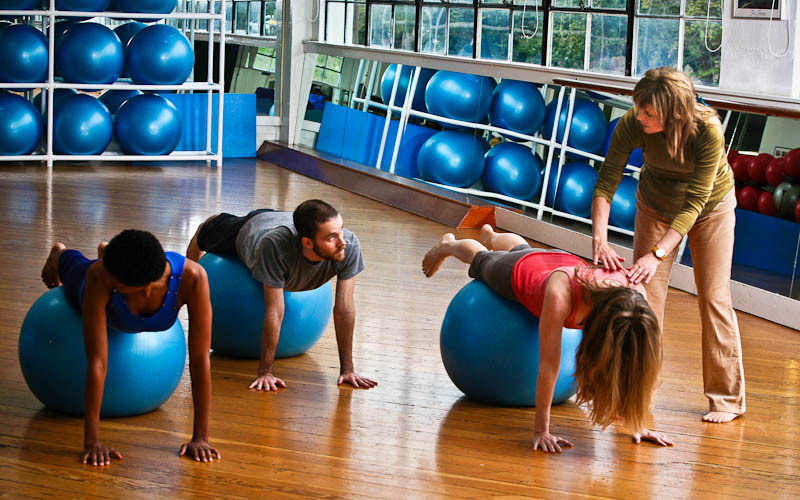 A structured training, Pilates is known for ‘working the core’. The muscles of the body create a frame of reference, a so-called ‘Map for the body’. The Pilates work is structured around the ‘powerhouse’ of the body: the abdomen, hips, and low back (the trunk of the body). There are many benefits to using the Pilates Method. The most dramatic ones include the development of many aspects of physical fitness and movement.